Morrissey once remarked “artists aren’t really people. I’m actually 40 per cent papier-mâché”, while not entirely true for himself, he was more like 40 per cent quiff, it could be applied literally to eccentric, cult entertainer Frank Sidebottom and his oversized noggin. 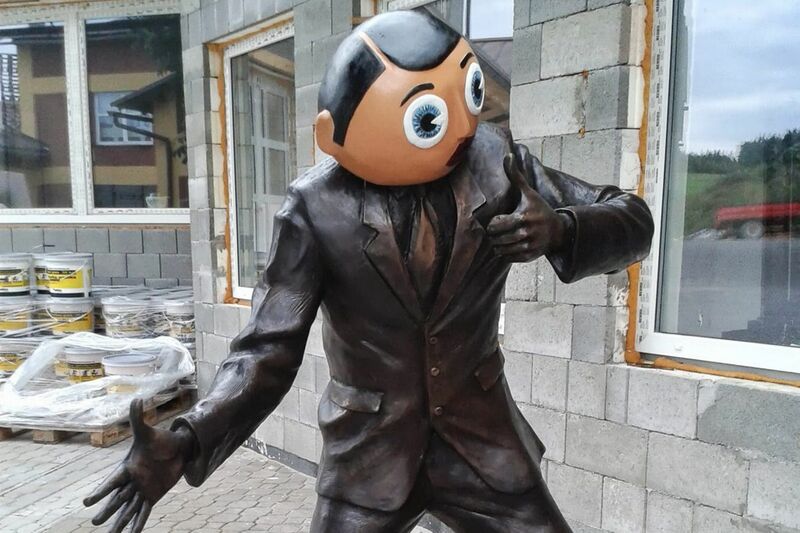 The alter ego of comedian/musician Chris Sievey, Frank Sidebottom emerged in the mid 1980s as an aspiring pop star with nasally Mancunian accent who rarely removed himself from his humble beginnings; he still lived with his mum, roamed the streets of Timperley and supported Altrincham FC. A jack of all traits, Sidebottom made his name on radio, television with his Fantastic Shed Show and musically with his Oh Blimey Big Band before falling into obscurity in the 2000s. His surreal brand of haphazard entertainment enjoyed a renaissance before Sievey’s untimely passing in 2010, paving the way for his legacy to be survived in an inevitable film. Starring a protagonist with a papier-mâché head who plays bizarre, divisive music and co-written by former Sidebottom bandmate Jon Ronson, Frank would appear to be the definitive story of the mercurial genius-come-lunatic, except the fact it’s not about Frank Sidebottom or Chris Sievey. 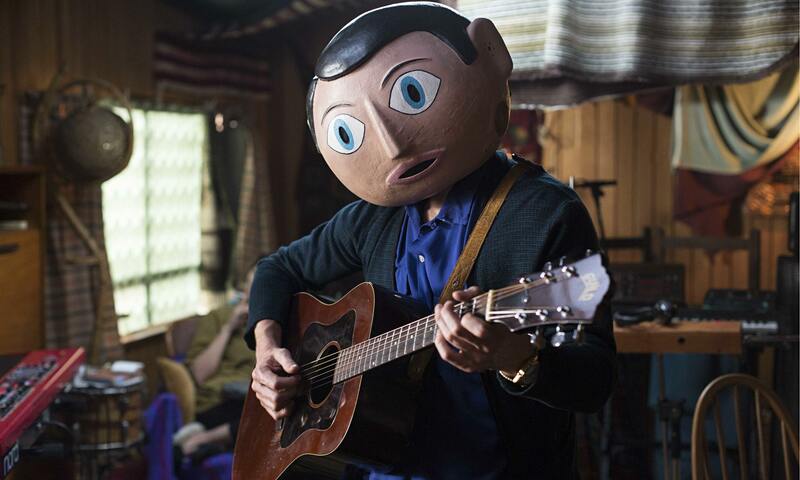 Instead the film’s ‘Frank’, played by Hollywood bigwig Michael Fassbender, is an American musician who, unlike Sievey, never ever takes off his unnervingly large head, is from Bluff, Kansas and has no connection to Timperley. In an unsubtle nod to Jon Ronson, Jon (Domhnall Gleeson), a flailing musician trapped in a 9-5 job in a seaside town that they forgot to close down, is offered the opportunity of a lifetime when unpronounceable band Soronprfbs stroll into town in search of a new keyboard player. The timid youngster unknowingly walks into the mad world of Frank, the band’s perplexing lead man, and sets about helping to record the greatest album ever along with exposing Frank’s genius to the wider world, much too fellow band member’s dismay. As Jon’s musical potential awakens, Frank orders him to squawk like a bird during rehearsals, so does his awareness of the bands’ underlying mental health issues. It’s like some bizarre parallel universe offering of what Frank Sidebottom could have been, a misunderstood musical prodigy instead of the tongue and cheek novelty of his Timperley based self. Rather than a biographical account, Frank is influenced by the original, seemingly going against convention logic for a film. This is ultimately Frank’s downfall, the fact the film is straddling two narratives- a wholly new one forged out of Jon Ronson’s script and the original Sievey invention-means it ends up being neither here nor there. This failure to find its tone or narrative direction permeates all areas of the film; there are conflicts between a serious commentary on mental illness and a comedy of absurdities, Ronson’s semi-autobiographical angle and Sidebottom’s influence as well as keeping it a niche, low key production against making it accessible to the wider public. The first half of the film takes a light hearted tone, balancing comedy and absurdity as Jon takes the bold step of abandoning his safe reality back home in search of fortune and fame, albeit via the unconventional and bizarre sound of Frank’s band. The laughs are more sniggers than bellowing onslaughts, nevertheless it’s enjoyable, wacky fun. In the latter section takes a much darker twist and tone, attributing the band’s quirks to a series of mental health problems, epitomised by Frank and his unwavering need to have his head on. Amongst all the strange antics and comedy the stark, grim nature of mental illness feels out of place, it’s hard to feel for Frank’s emotional wellbeing when he’s a constant source of entertainment throughout. It’s an attempt at depth and emotional weight, but one that falls flat. There’s a niggling concern that once you take away the papier-mâché head there’s little about Frank that relates it back to Sievey’s influencing persona. Modern appliances of Twitter and trendy music fest South by Southwest along with the use of Jon Ronson’s perspective for the narrative feels like an exploitation of Sidebottom’s name, not an appropriate tribute or examination. On a side note, Fassbender is largely forgettable in his role, as a Hollywood star not Frank. One wonders what the point of using a distracting, well known presence in Fassbender for a role that could have been performed by anyone, if anything knowing it’s him is a distraction, one that comes to a head late on. The endearing grounded nature of Sidebottom, the fact he never was a household name beyond Manchester, let alone the world, has been lost in Frank. The whimsical, English eccentricities of Sidebottom have been replaced by a fine, enjoyable film that fails to offer serious drama or insight into Sievey’s character, or the man behind the mask. Frank never promised to be about Sidebottom, but it promises little else either as a result. 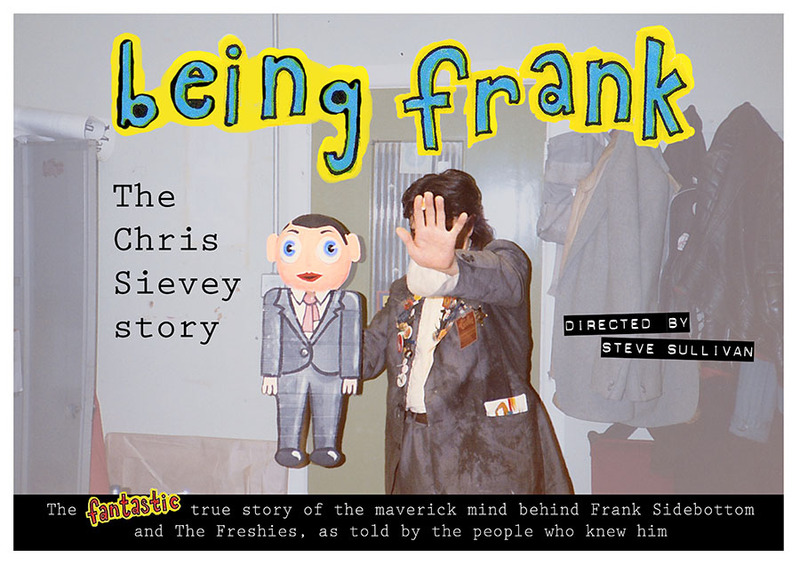 Alternatively, aiming for a summer release is documentary Being Frank, an interview laden, fan funded and thorough insight into Chris Sievey’s life, for those intrigued about the man and the legend this is likely to fulfil your needs far better than Frank.